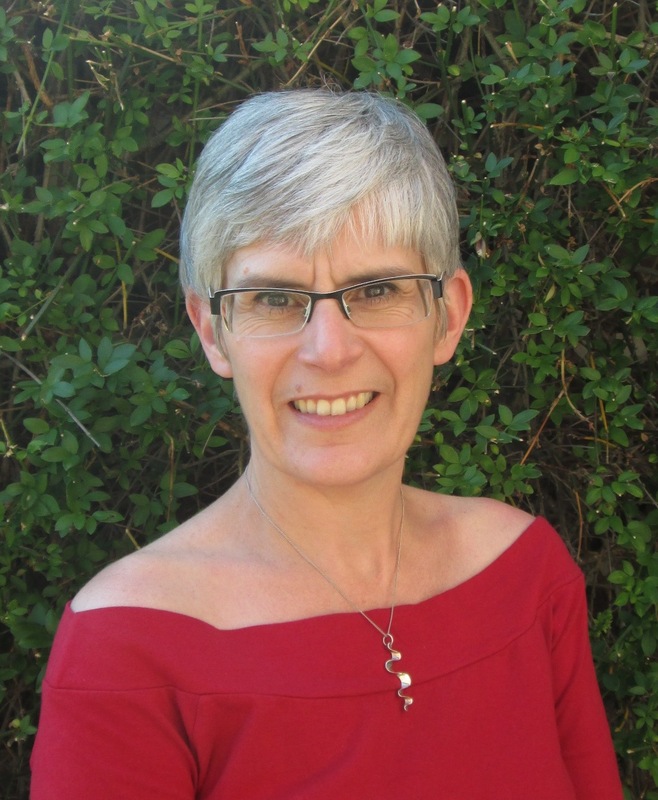 It’s always great to chat to other authors about their work and current projects and I thought it would be nice to introduce my fellow Bedazzled Ink author Katherine Hetzel to you. I know Katherine from the Writers’ Workshop WordCloud, there’s nothing like having a fellow Cloudie and BInkie to talk to! Katherine Hetzel has always loved the written word, but only started writing “properly” after giving up her job as a pharmaceutical microbiologist to be a stay-at-home mum. The silly songs and daft poems she wrote for her children grew into longer stories. They ended up on paper and then published. (Granny Rainbow, Panda Eyes, 2014) She sees herself first and foremost as a children’s author, passionate about getting kids reading, but she also enjoys writing short stories for adults and has been published in several anthologies. A member of the online writing community The Word Cloud, Katherine operates under the name of Squidge and blogs at Squidge’s Scribbles. She lives in the heart of the UK with Mr Squidge and two teenaged children. Hi Katherine, come on in and take a seat! First of all can you tell us a little bit about why you started writing? Hi, JK! How are you doing? Thanks so much for the invite – I’m excited to be here and looking forward to our chat! Me and writing? Hmmm…I think I started a bit by accident, really. When our kids were much younger, we read to them – LOADS! I can still recite ‘Peepo’ by the Ahlbergs, can tell you all about Percy the Park-keeper and Thomas the Tankin’ Engine (as my daughter used to call him) and developed a keen interest in beautifully illustrated picture books. When they went to school, I started to help out as a volunteer in the classroom – which is when I realised that a lot of kids just hadn’t had the same exposure to books, or love reading as much as we did. As I moved on up through the school years, I worked a lot with readers and sometimes got very despondent myself at the material the children were reading. I’ll never forget the story about the boy whose dog died in the first two pages… or the one about the boy who was killed by a truck and got turned into a zombie, for example. (Yeurch!) Having made up stories for my own children when they were at home, sick, to keep them amused, I rather arrogantly assumed I could tell a better story which would keep children enthralled and encourage a love of reading. Was it always your goal to be an author? Not at all! At school, I did enjoy creative writing, and I loved art (though didn’t have the talent to make a career of it) but my real love was science. Aged 13, I had a student teacher in biology who covered micro-organisms; I was hooked. I looked up ‘microbiologist’ in a career manual and decided that’s what I wanted to be – and I was! I did my degree and become a pharmaceutical microbiologist working in clean rooms, testing experimental products for contamination and training staff in microbiological awareness. Can you tell us your journey to StarMark finding a home with Bedazzled Ink? I began StarMark some years ago. It was actually the second novel I’d written – my first, RingQuest, I sent eagerly out to agents and publishers, not knowing anything really about the business. After many, many (deserved) rejections, I began writing StarMark. In 2009 I paid for a critique – and got my wrist slapped for the content being inappropriate for children. Disheartened, I decided I was pretty C-R-A-P and gave up. Round about that time, a friend published her story – about when her husband died and how God had helped her through the time which followed. She asked me what I’d wanted to achieve with my writing – fame and fortune, or the knowledge that I was doing what I felt called to do? It made me determined to have another go, so I did. I blew the dust off both StarMark and the damning critique, and set to work. The next critique – blimey, this is a story in itself! Are you still with me? – was in 2010 with the lovely Debi Alper, and her report gave me hope. I really wasn’t a bad writer – just needed to hone up on some skills. That’s probably when I joined the Word Cloud and made friends with folk who were willing to critique, support, encourage, pick up the pieces and later, join in the celebrations – because after several rewrites, StarMark and I were picked up by an agent early in 2011. But no-one wanted the book – well written, but not commercial enough. So I wrote another novel…but it wasn’t what the agent wanted. Two years ago, we parted company. Funnily enough, that was the best thing that could’ve happened to me. Instead of feeling as though I was being directed to write in a particular way, I could write what I wanted. In the last two years, I did the self-edit course and had more work published than ever before – including Granny Rainbow – so I began to wonder about self-publishing StarMark. The MS sample was sent early December last year, I had a request for the full from BInk soon after, and in the New Year I was offered a contract. And here I am – almost at publication! Although StarMark is your first novel with Bedazzled Ink, it certainly isn’t your first published work, right? Can you tell us about Granny Rainbow? Course! First, you have to understand I love rainbows – both because of the purity of their colour and because of the importance they have for me personally as a symbol of God’s promises. The character of Granny Rainbow came about because a fellow Cloudie – Vanessa Wester – had published several anthologies of short stories for charity and I’d written various shorts for them. She decided to offer a children’s anthology so I submitted an old story which was a mick-take of The Wizard of Oz (Follow the Yellow Sick Toad) and then Granny popped into my head. I wrote Granny Rainbow and the Black Shadow – about a colour stealing villain who Granny outwits with her magical coloured potions and powders – and it was published. So I wrote another six shorts, added the original Black Shadow story and the first collection of Granny Rainbow was published! You backed that up this year with More Granny Rainbow. How was it writing her second book and did the process differ from the first time around? 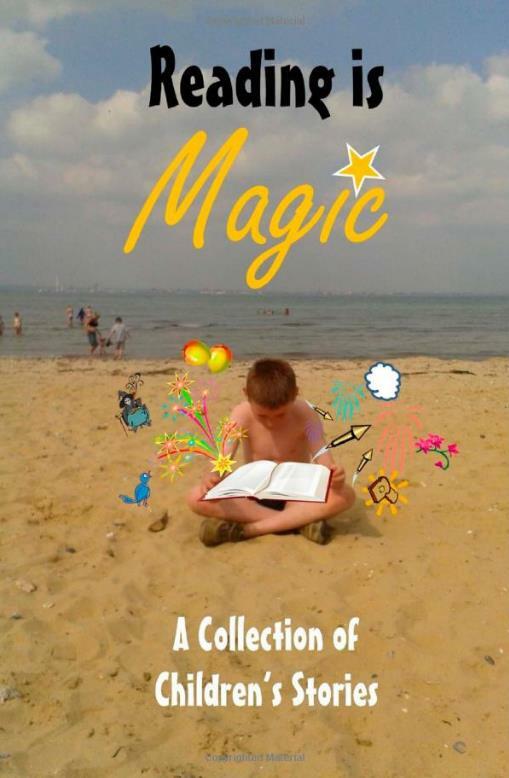 The first book was received really well – I was actually asked for more by the children reading it! So I set about writing a new set of seven shorts with gusto. The hardest thing was finding new problems for Granny to solve which weren’t too similar to the first batch. I stuck to the same pattern within each short (though it took a teacher to make me see that I was unconsciously writing to a formula) and tried in each story to introduce a new character, while still using some of those from the earlier stories. Once I had the outlines, they were pretty easy to write. I suppose I was getting familiar with Granny’s world by then. You also write for adults, can you tell us about your short stories? They are my playground! I like to try different things (I’m a Gemini, which means I often flit from one thing to another!) and short stories give me a chance to have a go at something I wouldn’t usually write. I don’t do – perhaps that should read haven’t yet written – crime, and I don’t tend to do ‘real-life’ particularly well, but fantasy… love it! I actually (worryingly?) like writing dark. I seem to have a knack for writing characters who are just downright nasty – but they think it’s normal. Which has taken a few folk by surprise, given that I am nothing like that in real life! Having said that, I try not to be offensive or overly gory – I don’t like to read that myself, and it wouldn’t feel honest if I were to write that way. What inspired you to write StarMark, was there a particular event that brought the characters’ stories to you? StarMark takes in the themes of destiny, betrayal and a fight to claim Irvana’s place in history. So what is the StarMark and can you tell us a bit about Irvana? Irvana’s a great character. To begin with, I think I was observing her and wrote StarMark to ‘tell’ her story. Gradually, I got to know her better and wrote more from inside her head. She’s feisty and determined and wants to believe the best of everyone, which is why she finds it hard when people let her down or hurt her. Can you talk us through building Irvana’s world and your writing process. How did you set about creating the land she inhabits? Oh goodness… do you know, I’m not sure I can, because it’s not a conscious process! The StarMark (the actual mark, not the book!) was very clear in my head when I began, as were several of the settings. I prefer olde-worlde fantasy, so Irvana’s world ended up a bit medieval in feel and allowed me to have long dresses and courtly jackets…probably a result of afternoons spent watching black and white swashbuckling films when I was a kid! I enjoy creating settings. I’m learning that you don’t have to include every item of the room/castle/forest though – more a flavour of where the character is with a few choice details thrown in! I sometimes print pictures out to help me visualise a setting too – like the round garden at the summer palace, or the hiring stand Irvana waits in when she arrives in Koltarn; they help me keep my focus. What were the easiest/ most difficult parts for you to write? What did you learn from StarMark that you will take with you as a writer? Easiest… definitely the settings, though I’ve had to pare them back! Most difficult… would have to be getting into character’s heads. StarMark has two POV characters, y’see; Irvana, and Mikal. Not only did I have to learn to write from within their own individual character traits and experiences, I had to switch between them, though I’m in Irvana’s POV more than Mikal. That was my biggest ‘breakthrough’ as a writer in terms of the craft of writing – but I also learnt that I believed in this story (whatever the ‘professionals’ thought of it); I should trust my gut more; and I should never, ever give up. There is always a way to get your story to readers, even if it takes years. Will we see more from Irvana? Do you have any other projects coming up for us to look forward to? I have written another novel (remember I mentioned RingQuest? The mightily rejected one?) which could be stand-alone, or could be a series of five. Although Rurik (the mian character) has been edited many times and is now very different to what he once was, he’s not commercial enough either. Having said that, I learnt so much in the last edit of StarMark, I may well give Rurik the once-over too – and who knows where he’ll end up? I’m also toying with an idea for an adult collection of short stories, based on a competition story I wrote a couple of years ago, called Thread. The stories are linked in the world I created and go back in time through characters – almost like a tag story, in reverse! I have the stories mapped out and four o five are complete, but that’s stalled at the moment while I focus on StarMark. I’ve also got the first draft of another novel under my belt – working title The King Stone – which is really exciting me. I have yet to fill in a lot of plot holes, but the structure is there and the characters are shouting loudly to be heard! We met as part of the Writers’ Workshop Wordcloud. Can you tell us how they have influenced your writing? Do you recommend online forums such as the Cloud for new authors? A) you only want to take from the site – you get a better reception if you’re prepared to get involved with people and give back. C) Develop a thick skin. If you ask for help, be prepared for the answer. That wonderful epic you wrote (like Ringquest, which I sent off to about twenty agents…and received twenty rejections for?) might not be as polished as you think. If you are prepared to listen, you can improve – and in my experience, those who listen and take on board what’s been said, however painful it is to hear, are those who get the best results and become the most amazing authors. The Cloud has influenced my own writing by exposing me to so many different styles and genres… I think it has helped me to broaden the range of what I write – and read. And reading is as essential for a writer as writing is! What is your strength as a writer? What is your ‘typical’ writing day? Ha! There isn’t one – it’s fitted in around housework and family! And although I try to write something every day, I usually end up doing 5:1 writing:not written! When readers pick up your books, what would you most like to hear them say? That looks good! And when they’ve finished… Enjoyed that. What would you least like them to do/say? Not think that there’s anything I can offer them, so they don’t even bother. Who is your literary hero and why? Would have to be the late, great Sir Terry Pratchett. I love Discworld, I love his humour, yet I also love the humanity within the stories. And he’s so concise with words – often paints a picture with dialogue that leaves me laughing because of what he doesn’t say, but you know damn well is happening! If you could have written any book, which one would it have been? Hmmm… I don’t think I would choose anything already written, because if I’d written it, it wouldn’t have turned out the same. Pass! What is your ‘tic’ [repeated] word when writing? What would you most like to develop in your writing? Emotion. I don’t mean getting the character to feel it – I mean getting the reader to experience it. As always, thank you for dropping in to chat. Don’t forget to take some cake with you! Thanks, Jody – it’s been a blast! I’ll have a slice of lemon syrup with millionaire’s shortbread on the side please! Granny Rainbow has a knack for solving problems. Whether it’s getting rid of the Black Shadow, improving a violinist’s performance, helping to mend a quarrel or putting the secret ingredient into perfect marmalade, she has a potion or power for the job. Step into a world of colour with these illustrated stories about a very special lady. Granny’s Rainbow’s back with even more problems to solve! Why are Tom’s bees turning blue? Why isn’t the Tooth Fairy collecting Teeth? And why is the circus leaving town even before the first show? With a potion, or a powder, and a lot of imagination, Granny Rainbow will put things right. This is the second colourful collection of illustrated short stories about Granny Rainbow for you to enjoy. Available to purchase direct from Katherine, via The Bookshop Kibworth, The Reading Shop, Oadby,Delice Deli, Loughborough, and Pop-Up Booktiques, Horsham. Irvana, orphaned and alone in a strange city, doesn’t know she has a secret – or that she holds the answer to a years-old mystery that will explain why the black StarMark of Lord Terenz, the current overlord of Koltarn, has never turned to gold. When Terenz discovers that secret, Irvana’s life is suddenly in danger, though she has no idea why. And when, with the help of friends, she does find out, she must keep one step ahead of Terenz and his supporters if she is to reclaim what should have been her birthright.